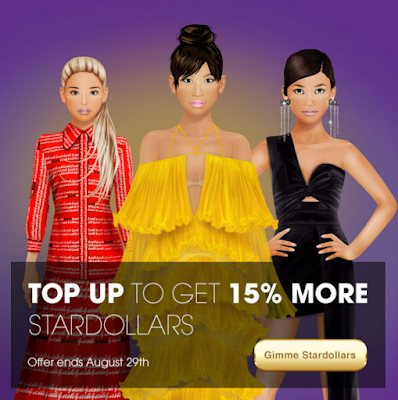 Here's a new Top Up offer from Stardoll. Get ready for LE because it's coming to town. If you want to boost up some of those Stardollars, hurry up because the offer ends on August 29th. So, will you get some money for yourself? You'd better if you want to get some LE.